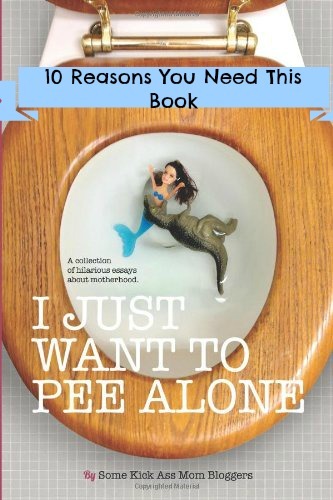 kissing the frog: The Top Ten Reasons You Need "I Just Want to Pee Alone"
The Top Ten Reasons You Need "I Just Want to Pee Alone"
Hey, have you heard about this new book that is hitting the top of all the humor charts? It's called "I Just Want to Pee Alone," and it was written by some pretty amazing bloggers. Many of these ladies I am proud to call my friends (in a totally non-internet stalkerish way, of course), whether I have been reading them for a year or I've just discovered them. Some are wonderful new finds, and I can't wait to check out their blogs. There has been some backlash against "Mommy Bloggers," some people wondering why they had kids if they are going to complain about them all the time. I think anyone who feels that way has not read this book or any of these ladies' blogs. They strive to come together as mommies more than to write a book that makes one feel alienated. These moms share experiences that many of us have had -whether it is about breastfeeding or feeling judged, not knowing we were pregnant or being embarrassed by our child calling us out publicly about something. 7. Flying first class with famous people. 4. Folding laundry with corpses. 3. Soft serve poop gone wild. AMAZON PAPERBACK BOOK DELIVERED TO YOUR DOOR - CLICK HERE. APPLE - Buy it at iTunes. NOOK - B&N is taking its sweet time. In the meantime, you can get it from Smashwords. Just follow the instructions for NOOK. CLICK HERE. 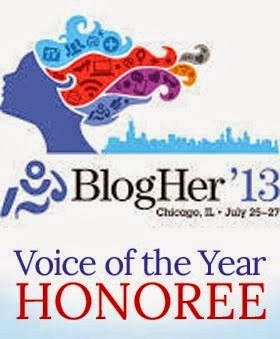 KOBO AND SONY READER - CLICK HERE. If you're not intrigued yet, check out this totally awesome review of the book, written by Steph of When Crazy Meets Exhaustion (seriously, she totally missed her calling as a book reviewer). A big thanks to her and her sources for all of the information and links provided above. Drop some hints to your significant other - this would make a great little gift to fit into your Easter basket. Maybe your honey will even give you some time alone to read it. It's a great book to read in the short spurts of time moms have - in the carpool lane, waiting at dance class, the part of the ball game that your child is not in, and yes, sitting on the toilet. Trust me - you want this book. After you read it, share your thoughts with me on my Facebook page. I'd love to know what your favorite part is. *Update: If you don't want to wait, buy it now by clicking the Amazon widget on my sidebar. Your husband probably wouldn't understand anyway, so you might as well buy it yourself!